When introducing prepositions (in, on, under, in front of, behind) a puppet can be a useful teacher assistant and engaging for children. Bring to class some fruit props (orange, pear, banana, apple, kiwi, etc) children tend to become very excited about real fruit, but plastic fruit is fine and easier to store away for future exercises:-) Place the fruit on your desk or on the floor in a circle where all the children can see it. Use an empty box (puppet size) and give your puppet instructions to carry out. Again as the children become familiar with the prepositions , have Pippo make mistakes and encourage the children to correct him. Peter, my new bilingual teaching assistant….what a squawker!! Get children actively involved in English lessons using a little English friend. A great teaching assistant! Peter ? there you are! Which do you prefer – the red or the green? Is make- believe with puppets more than just play? Puppets are positive creatures that bring about positive responses. They fascinate and engage both children and adults in a special way. Children are willing to suspend belief, and react to a puppet as if it were real. They find it motivating using puppets in “pretend play” as they stimulate creativity and help develop imagination and vocabulary, preparing them for the real-life situations they will meet later on.Today many parents and teachers also find use for puppets for educational activities to teach children about letters, numbers, people, problem solving and safety issues. As an ESL teacher I use them to enrich storytelling, elicit new vocabulary, sing songs and even introduce classroom rules! 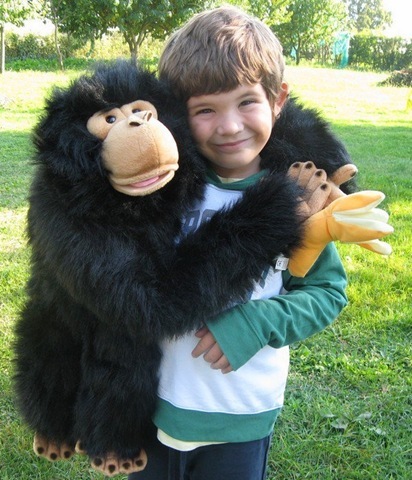 Puppets can share joy or sadness; they can be naughty or good, cheeky or shy; and when a child is engaged by a puppet they can learn lessons and absorb messages without even realising they are. For perfect example check out http://antarcticapuppet.primaryblogger.co.uk/ . Have no fear! Puppets are positive creatures that bring about positive responses. 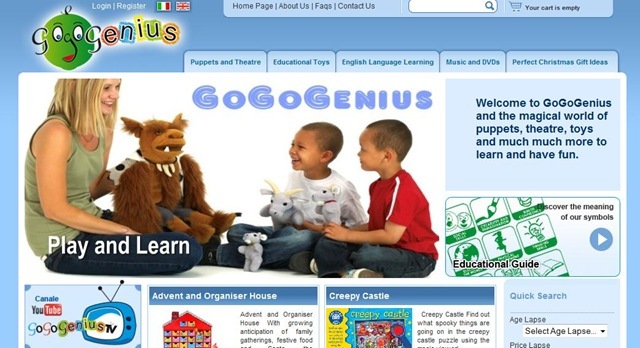 My husband and I decided to set up GoGoGenius as we wanted to create a special place where parents, teachers and educators could find products, tips and suggestions to help their children learn English through fun and creativity . 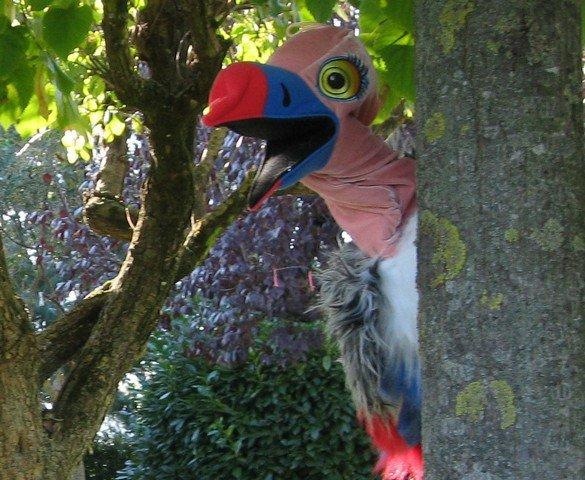 We are based in Florence, Italy, and we sell puppets and educational products primarily, but not exclusively, dedicated to teaching English, using fun, unconventional methods and theatre techniques. Over the next few weeks we will be adding many more products and resources and we would love to receive any feedback from you. Check out our puppet range as I believe they are a fantastic resource for any parent or teacher for use in educational activities such as storytelling, phonics, mathematics, and foreign language teaching. As an English teacher, I use puppets in class on a regular basis because I have seen for myself that they work very successfully . Puppets are positive creatures that bring about positive responses. They fascinate and engage both children and adults in a special way. They capture a child’s attention and make learning fun! Many educators shy away from using puppets not knowing really what to do with them apart from using them as a simple “doll”. I will try and give you some fundamental puppet tips and convey to you what wonderful teaching tools they really are.